Ok, so you have signed up for a new account, connected PushMetrics to your Slack Team (if you don't use Slack, just skip this step) and you have set up your Tableau connection. So let's get started. Just go to Slack, open any channel or direct message, type /pm and hit enter. Select a view from the dropdown to request a view. This will load a fresh version of your view and show you a preview. Nothing get's posted to the channel until you click Publish. You can skip the dropdown menu if you know the name of the view you wanna load: Try /pm Sales Summary. There will be nothing that raises visibility and awareness of your most important metrics & KPIs more than pushing them frequently to your team's Slack channels. However, make sure you don't go too wild with this. You don't want to spam people but want to make sure they are getting relevant information. Limit Reports to the ones that require frequent attention and try to target them to the right audience. Here's how you can schedule Reports in the PushMetrics Web App. With PushMetrics you can track your most important metrics over time and create alert rules to monitor all your KPIs automatically. 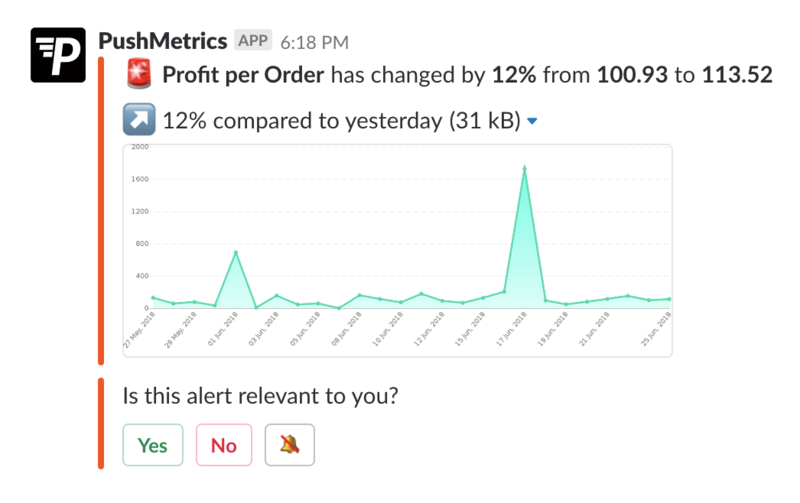 You and your team will then get alerts whenever there is a relevant change in your metrics - or you can trigger reports to be sent on such a data condition and step up your reporting game. Metrics can be sourced from a simple Tableau view - so setup is fast and easy. Although your Tableau Live View is always just a click away, you should consider optimizing your Views for a good experience in Slack. In general, views that show relevant information in the default view (i.e. before setting filters and parameters) work best. You will likely have some stakeholders that are not in your Slack team - clients, partners, investors, you name it. 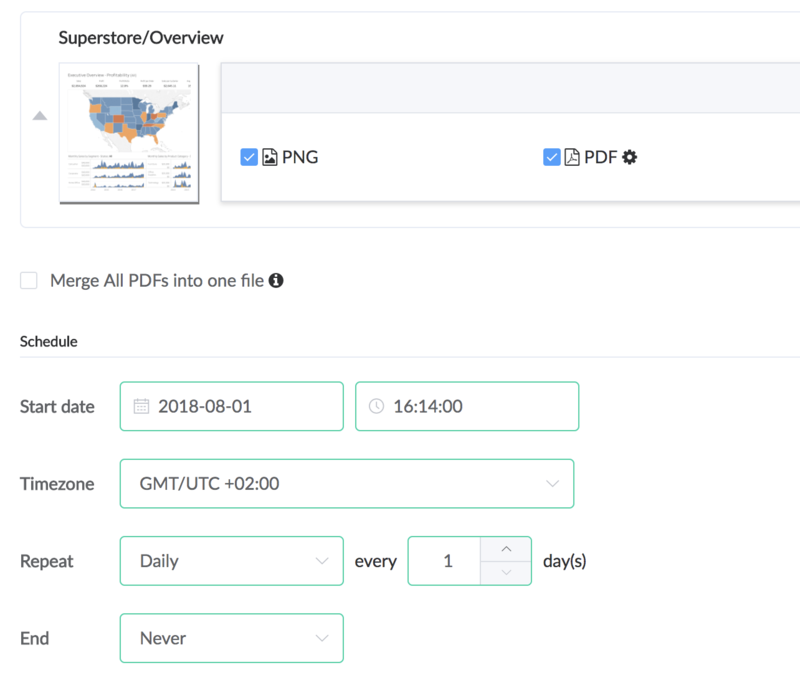 You can set up scheduled Reports and send them to any Email recipient, attach a message and include the Tableau views as attachments, no matter if PDF, CSV or an image. Contact us if you want to set up a white label email address to send pixel-perfect reports in your own branding. Send us a quick note and tell us what you think about PushMetrics. We reply to every message and you'd be surprised how quickly we sometimes are in implementing customer feedback 😉. Use the live chat in the bottom right of the page or shoot us an email at info@pushmetrics.io.